A 3-D film from Michael Jackson's planned "This Is It" tour will be shown in tribute to the singer at the Grammy Awards. (CNN) -- A planned tribute to Michael Jackson at the upcoming 52nd annual Grammy Awards will feature the first-ever 3-D performance on an awards show. Grammys executive producer Ken Ehrlich said a 3-D mini-movie created for Jackson's "Earth Song" will be presented as part of a tribute performance featuring Smokey Robinson, Usher, Celine Dion, Jennifer Hudson and Carrie Underwood. Jackson is being honored posthumously with the Recording Academy's Lifetime Achievement Award. Ehrlich said he met with Jackson at the Staples Center in Los Angeles, California, the day before he died to discuss a Halloween project the singer was working on with CBS. He said that just before the meeting, he watched the mini-movie with Jackson, which was to be a standalone piece during the live show in the "This Is It" tour. "He told me this was to be one of the most important elements of the show to him because it was his opportunity to deliver a really strong message about the environment in the same way that it had done when he first did the song several years ago," Ehrlich said on a media conference call. "This film, and the 3-D in which it was done, it's pretty brilliant and it's pretty wonderful." Jim Farber, music critic for the New York Daily News, said the combination of 3-D technology and Michael Jackson could be a strong way for the show to get viewers talking. "Obviously there is a tremendous amount of interest in Michael Jackson since his death," Farber said. "There was plenty before that, but even more since." The hope is also that it will get viewers tuning in, Farber said, at a time when network television has been losing its audience. "Award show ratings have gone up and down over the years," Farber said. "Certainly there has been some [ratings] erosion for the Grammys from its peak, so they could use all of the gimmicks they can get." It is not the first time the awards show has used technology to make for a more interesting performance. In 2008, Alicia Keys performed a "duet" with the late singer Frank Sinatra on the Grammys, similar to an earlier performance by Natalie Cole with her late father, crooner Nat King Cole. 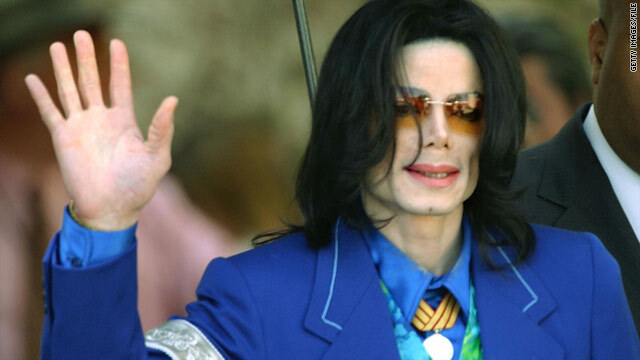 Ehrlich said producers decided not to have the tribute performers sing along with a digitized version of Jackson, and instead chose to use the film. "After he passed, we knew that people would be looking at the show to see what we do for Michael," Ehrlich said. "It occurred to me to take this one song, which admittedly was not a big hit, though it went to number one [in Europe], that captured so much of Michael's spirit and what he was all about and to bring it to life ... with four or five singers singing along with Michael's voice." Ehrlich said the selection of the singers was organic -- Robinson was extremely close to Jackson, and Jackson had great admiration and respect for Usher, Dion, Hudson and Underwood. Viewers will be able to pick up free 3-D glasses from Target to fully enjoy the experience, Ehrlich said. The executive producer said he expects the moment to rank up there with the great Grammy moments of Jackson's career, including the year he was nominated for 12 Grammy Awards on the back of "Thriller," and the time he performed a show-stopping version of his hit "Man in the Mirror." Ehrlich said he is not against using 3-D technology in the future, though he estimates that the show is probably about five years away from being completely broadcast in 3-D.
"I would love to think that at some point we become the first awards to broadcast the show in 3-D, but that would depend on millions and millions of 3-D [television] sets," Ehrlich said. The 52nd Grammy Awards are scheduled to be shown Sunday, January 31, on CBS.